Next week (Monday 13th – Sunday 19th August) is National Afternoon Tea week. An entire week has been dedicated to the art of Afternoon Tea to encourage tea lovers, to carry on a classic tradition. So, we thought we’d share the history of Afternoon Tea and invite you to come and celebrate one of our national ‘foodie’ treasures with us at Hart’s. Legend has it that afternoon tea originated from Anna Maria Stanhope, 7th Duchess of Bedford in the early 19th century when she was too hungry to wait until dinner time and needed a little treat to keep her going, so she requested a selection of cakes and biscuits with tea to be served to her dressing room. Anna quickly got used to this little afternoon treat and decided to invite her friends to join her for an afternoon social event. From then on, the concept spread and before long even, Queen Victoria was taking part in the tradition. In true British fashion, it doesn’t take much persuading for us to get involved with an occasion that includes a lovely cup of tea, scones with lots of jam and clotted cream, mini sandwiches and an abundance of cakes! Here at Hart’s we have been serving Afternoon Tea since 2013, working with our award-winning sister company Hambleton Bakery. 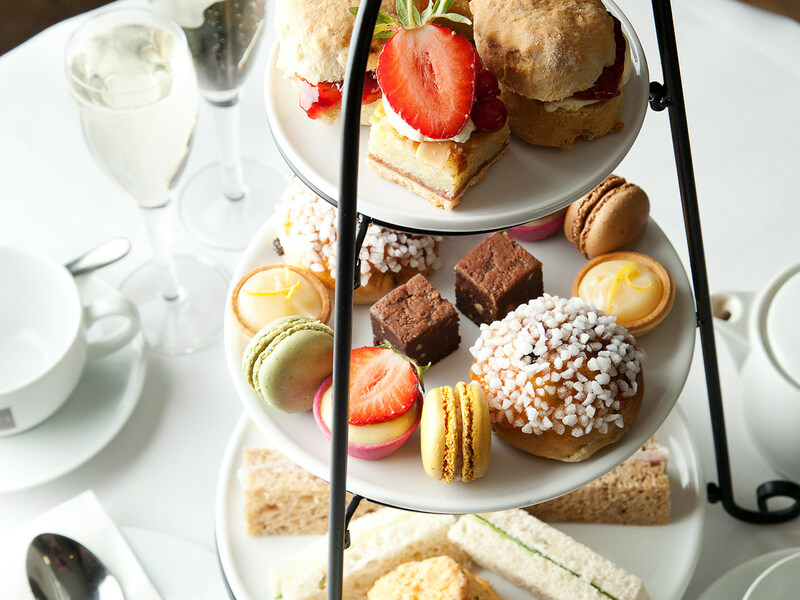 Our much-loved sweet and savoury treats continue to impress with the selection of finger sandwiches, tarts, cakes, desserts and scones which are presented on a tier. All served with loose leaf Jing Tea which is infused perfectly with the aid of a timer. You’ll also find Afternoon Tea with a twist available during special occasions for those looking for something different such as Wimbledon and Festive Afternoon Teas. We also offer private events i.e. corporate events, hen do’s, christening celebrations where you can sample this much-loved treat in Hart’s Upstairs which caters for up to 100 people. Has this inspired you to come and indulge in an Afternoon Tea for yourself? Personally, we can’t think of a better way to catch up with friends. Gift vouchers are available, so if you fancy treating someone special give us a call on 0115 988 1900.